Beautiful, bountiful, blue and bursting with flavour….so many ways to describe our blueberries. You can u-pick your own blueberries or we can do the work for you! We sell our blueberries in a variety of sizes, the most popular being our 10 lb box. 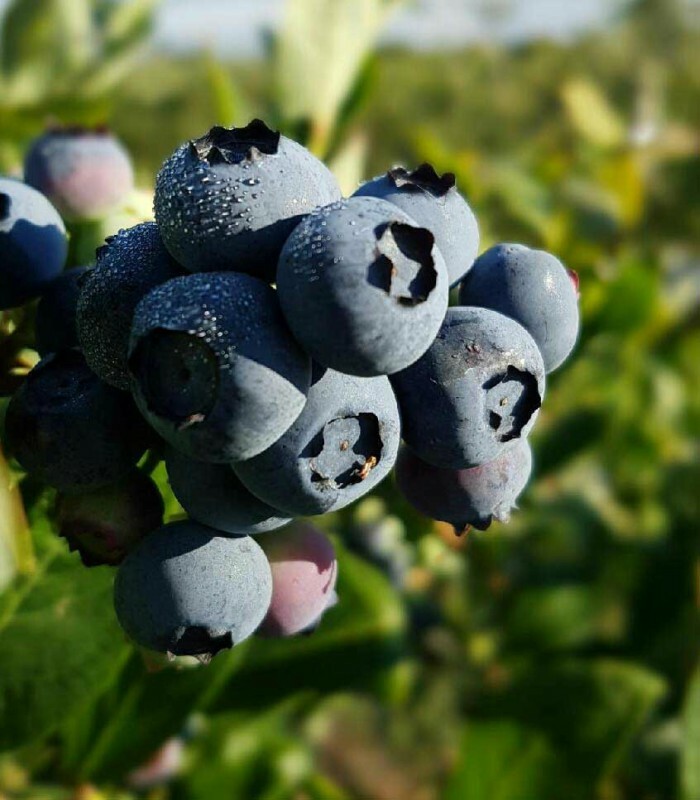 Blueberry season starts approximately at the beginning of July and carries on until early August. Bring your own containers such as ice cream buckets, bowls, baskets, or pails. Bring your own containers. Boxes also work-that way you can put them under the bushes to catch any berries that fall off when being picked. That minimizes the losses and fills up your containers quickly! We have wagons for your use, but you may bring your own as the wagons are first-come, first-serve. Wagons are also good for toting small children out to the fields and carrying large amounts of berries. Before eating any fruit, it should be rinsed under cold water and pat dry with a towel. Blueberries are delicious eaten frozen on their own, you can add them to your smoothie or use them in baking! They are very refreshing and a good snack as they are super-healthy for you. Blueberries have incredible nutrition and health benefits. From their rich color to their amazing qualities, blueberries can provide you with stronger and healthier cardiovascular health, brighter vision and healthy brain function. To freeze blueberries, rinse them under cold water and lay them out on a cookie sheet lined with wax paper. Put them in the freezer for a couple hours and then shake them into a ziplock bag. This way they will freeze individually. Be sure to stock up so you can enjoy them year round!